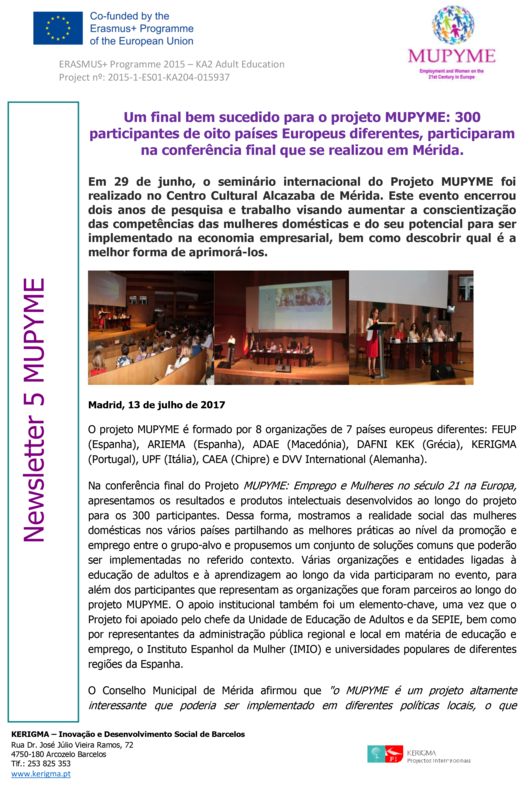 HELP - Design your Future! 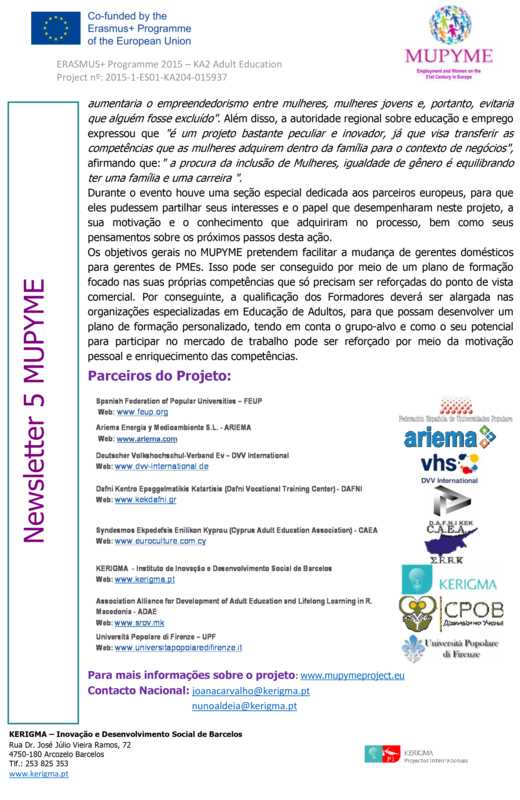 MUPYME Project is a two-year strategic partnership at international level funded by the Erasmus+ programme of the European Commision. 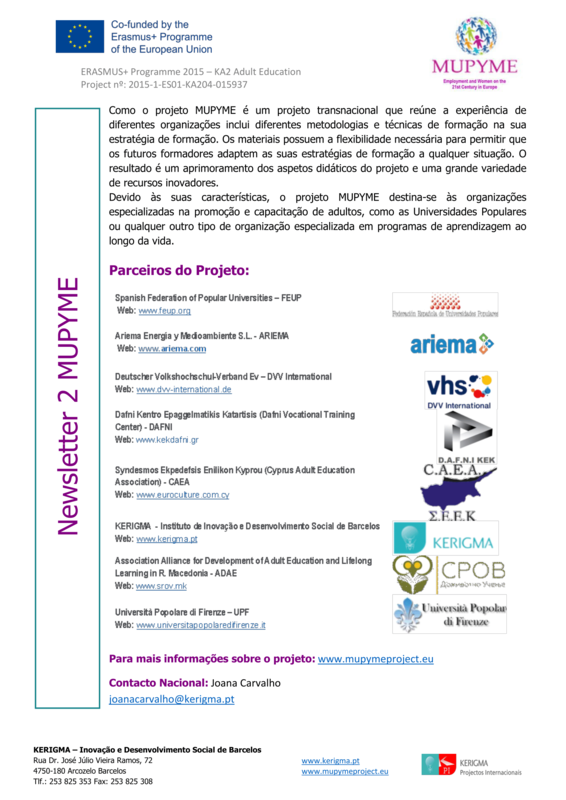 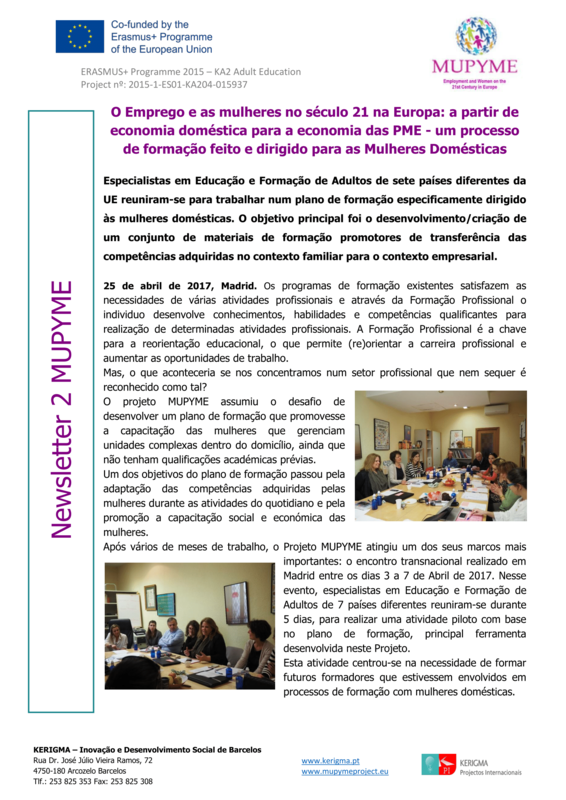 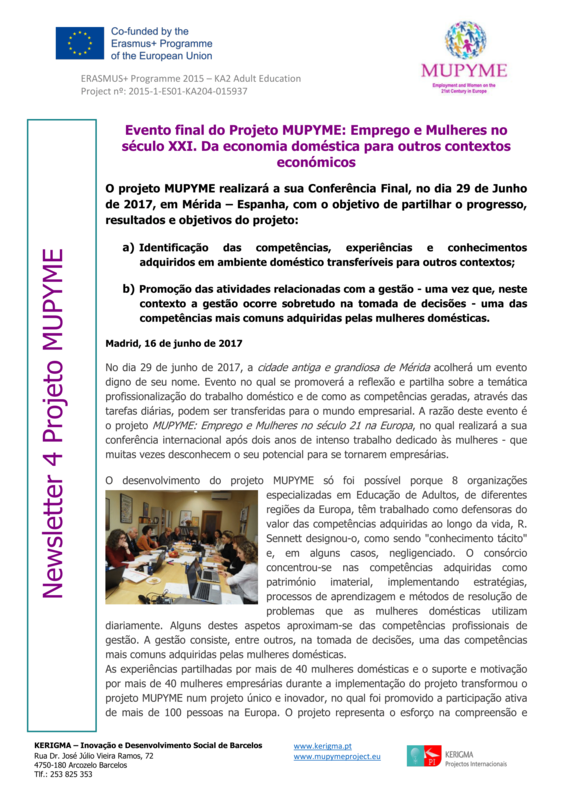 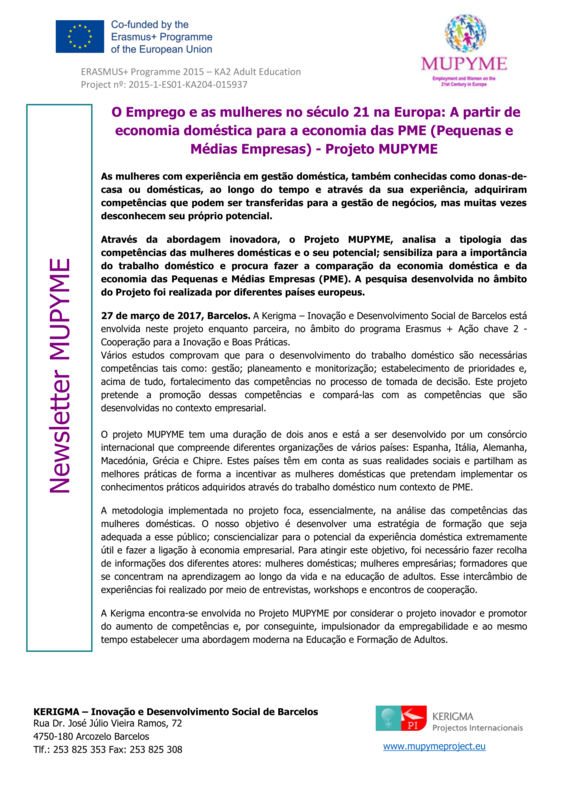 MUPYME Project aims to join together organisations from Italy, Portugal, Germany, Republic of Macedonia, Greece, Cyprus and Spain in order to encourage the incorporation of housewives into the labor market through improving the potential of the skills and abilities that they have already generated at their daily work at home.